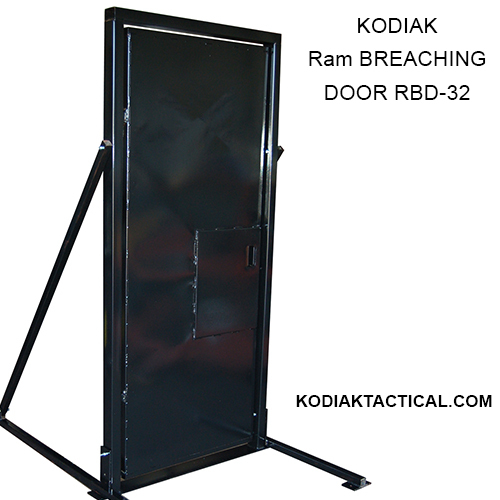 Kodiak Ram Breaching Door is an inward opening door which allows you to train your First Responders or tactical operators to realistically breach a door. 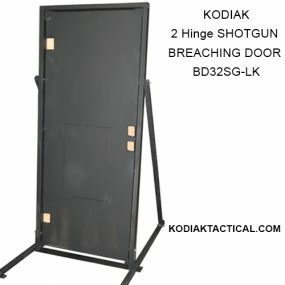 No specialized, costly, pins or consumables are necessary to use this door. 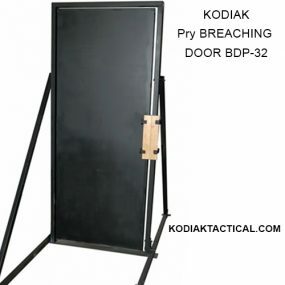 Wood strips are placed on the back side of the door and frame and the thickness and type of wood used gives you a wide range of resistance without the expense associated with other doors. 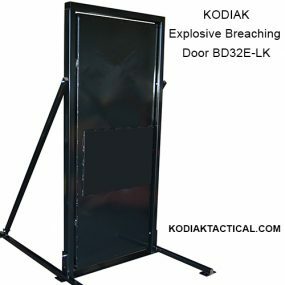 KTS utilizes an oversized strike plate minimizing the damage caused by miss-hits. Each door utilizes 4 industrial hinges for smooth operation. 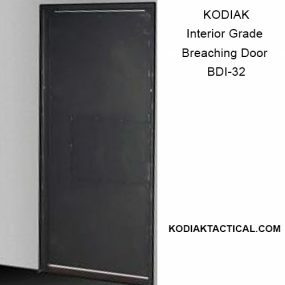 Special door sizes and configurations are available upon request.